Authorities aim to have least 70% of buildings across Dubai complying with international air quality standards. Dubai: Time spent indoors may be more detrimental to your health than you realise. The civic body on Sunday announced that it aims to have at least 70 per cent of buildings across Dubai complying with international air quality standards, as part of its objective in becoming a smart city by 2016. Currently, no date on indoor quality is available. “Employees spend an average of 90 per cent of their day indoors. Part of our responsibility in becoming a smart city includes having environmentally safe and healthy buildings, which is being done through our inspectors who regularly monitor indoor air quality, ventilation, and air-conditioning of buildings across Dubai,” said Raed Al Marzouqi, Head of Occupational Health and Safety Section at Dubai Municipality. According to the World Health Organisation, pollutant levels of indoor air may run two to five times higher than outdoor levels. “We are currently carrying out a comprehensive indoor air quality study [that was launched last year], and once it is completed, we will have more data on the level of pollutants in schools and public buildings,” he said. “Our agenda will also include setting performance targets for different types of buildings and making better use of available technologies. There is no known, safe level of air pollution, as even low levels of air pollution can have a negative effect on vulnerable people, such as the elderly, children, and people with cardio-respiratory problems,” said Al Marzouqi. According to Dubai Municipality’s guideline to indoor air quality in buildings, smoking must be limited to designated areas, and automatic sensors should be installed throughout the building to adjust temperature, humidity, and ventilation. Al Marzouqi pointed out that there are a range of factors that cause indoor pollution, such as emissions from building materials, permeability of the walls, and ventilation rates, as well as the emissions of products used indoors. 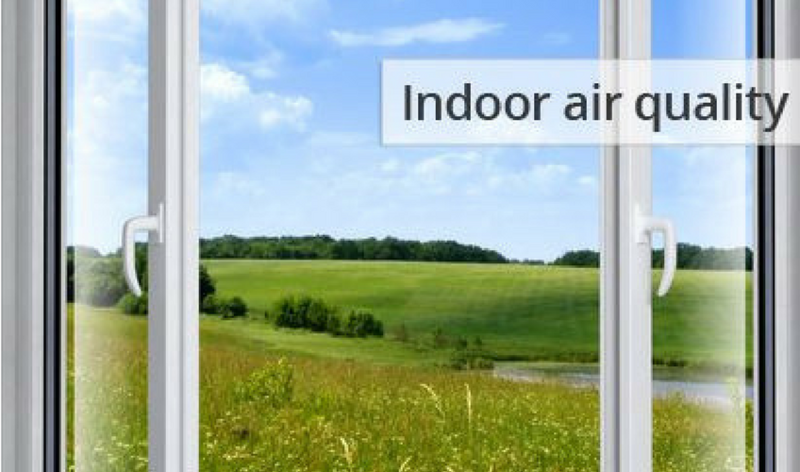 “As per our rules and regulations, building owners and managers are required to meet the minimum requirements for an adequate quality of indoor air quality. Air filters should be installed, and there should be air inlets and exhaust fans throughout the vicinity, to reduce the possibility of odour, smoke or other air contaminants entering the ventilation system,” he said.